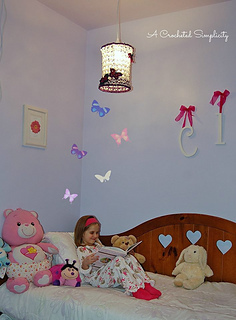 Little girls dream of everything cheery and bright and what better way to inspire their imagination than with a “Butterfly Dreams” Pendant Lamp for their special reading nook. This lamp was design for the Design Wars Swanky Mini-Challenge. 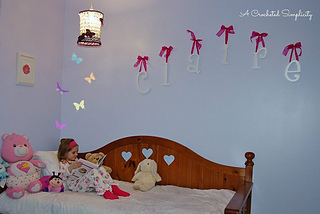 The Red Heart Boutique Swanky yarn really makes this lamp a special addition to any little girl’s room with it’s beautiful sheen and sparkly, tear shaped sequins. Other yarns similar in weight can be substituted, such as Caron Simply Soft. 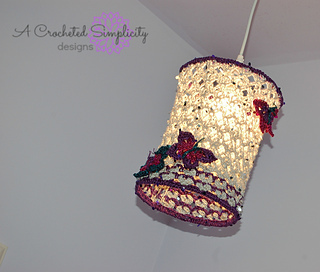 Lamp shade is an ‘A Crocheted Simplicity’ Original Design.